Tretakoff Musings: Restaurant Wars...or are they? Disclosure: I consulted for OpenTable for some time. 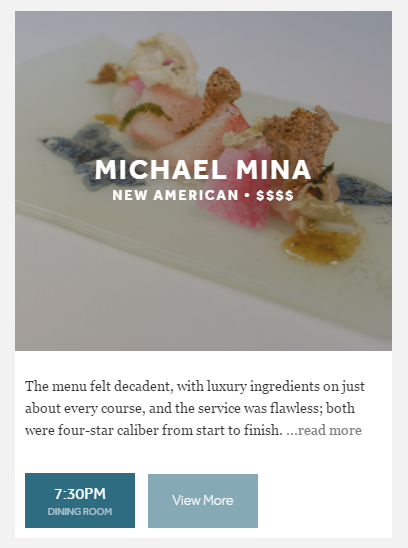 Every now and then, restaurant reservations juggernaut OpenTable sees an article about how their stranglehold on online reservations is under attack. The latest is this article in SFGate, and follows the usual narrative: OpenTable is too expensive, plucky startups are trying to show there's a better, more restaurant-friendly way to do business, and maybe one of them will be a success. There were a raft of "pay for play" reservations services that would allow the diner to prepurchase vouchers that would get them a seat; most of them have gone away (although Reserve, in this piece, has clearly pivoted from that). There was SeatMe, a really innovative product, which was gobbled up by Yelp years ago. There were even efforts by credit card companies to provide a concierge to do this. And this is the latest. But most of these articles miss the point altogether. Put yourself in the shoes of a restaurant owner: you have built a unique business on your creativity, your vision, and your hard work. Now comes the hard part: getting people to come to experience it. Marketing is a critical part of that, but many restaurateurs struggle with this: they are great chefs, after all, and they are frequently preyed upon by vendors offering them cheap and easy solutions to help drive traffic. Sites like Groupon descend, promising thousands of recurring customers, in return for a discounted, first-time voucher, but the reality is that most of the customers are "one and done." (Note: I worked in the "daily deals" business for 2 years, and heard my share of these complaints). Services like Yelp promise elevated visibility and lowered negative reviews in return for sponsorships; the tactics they are purported to use are, to put it mildly, high pressure. Point of Sale (POS) system vendors promise cutting edge analytics and tech, and deliver a solution that is almost out of the 1970's. What's a business owner to do? OpenTable is probably not liked by a lot of restaurants; it costs money, and they have to keep that tight. So why do so many restaurants continue to use it? Because it has critical mass, and drives traffic, period. When you decide where to go out to eat, you want to get a great selection of choices: OpenTable gives you that robust, diverse selection. If you are not listed on OpenTable, that customer is rarely going to open another app to see what else is available. Instead, they'll choose another that is listed there. So OpenTable is not providing tech per se, but the all important marketing to the types of diners they want the most: affluent, immediate need, and not having to compete for eyeballs. And that's what so many of these articles miss: it's not about the solution, it's about the one-stop shop for customers. Yes, that's the same Michael Mina on, you guessed it, OpenTable. 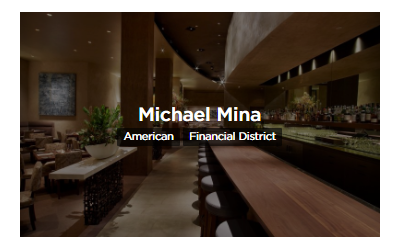 And this is not the only example: in my comparison there are several that are on these new "disrupters" that remain on OpenTable. Now, think about what that means to the restaurant: their front of house staff has to process reservations from 3 separate online services, walk ins, and phone (the latter is still the mainstay). That's a lot of juggling and effort. Why would they do they? Simple: they are covering their marketing bets. So these new services are not taking business away from OpenTable; they are just leveraging their front of house staff in hopes of finding another OpenTable for marketing their restaurant. Can you get away without using OpenTable? Sure you can, if you run a well known destination dining experience. In foodie cities like LA, SF, and NYC, you can do this for some places, but even then, you run into problems. Take State Bird Provisions, in SF, for instance. Lauded by Bon Appetit as the best new restaurant in 2012, they chose to use UrbanSpoon, another smaller competitor to OpenTable. Within months, their resulting popularity made their reservation system subject to hackers and unavailability. Their solution? Even thought they did not need the marketing lift, they switched to OpenTable, And order was restored. I know this may sound like a defense for OpenTable; it's not. The reality is that all of these competitors are missing the point: they will become as ubiquitous as OpenTable if they can replicate their (and many other successful startups) formula for success: identify a market pain point, create a solution that either solves that pain and/or incentivizes the massive customer growth needed. 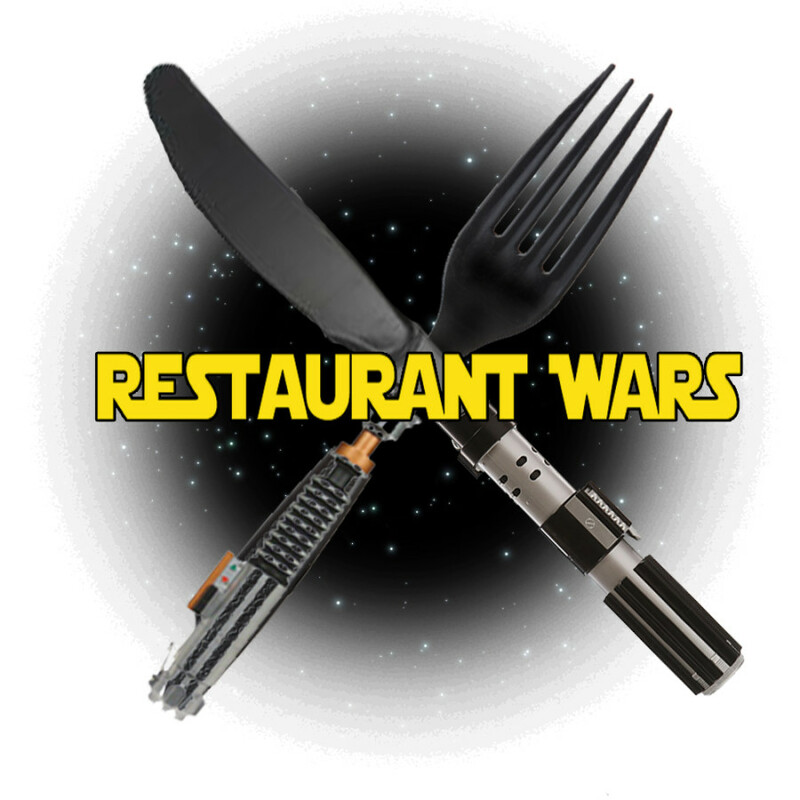 For instance, there will still be some restaurants that resist OpenTable, and go with another solution. Why not create a super-reservations system that books your table on whatever system is used? That's the approach e-commerce upstart Jet.com used in their launch to beat Amazon: they promised the lowest price, they showed every product, and if they didn't have it, they purchased it from another site for you, and ate the price difference. Result? They are on track for $1B in sales this year, with 3.5M customers, in less than 3 years of existence. Still not convinced? Ok, how about this: pay the customer. That's right, pay them for every reservation they make through your system. Crazy, you say? That's what venture capital is for: to spend on rapid customer growth. Of course, OpenTable has a counter to that, with their loyalty program, but imagine if Amazon decided to get into this game, and offered you $5 Amazon credit for every reservation? Bizarre? Maybe not: they've just added restaurant delivery to Amazon Prime, so it's not too far off. How about Uber? They offer UberEats for food delivery; how hard would it be to add reservations that earn you Uber credit? Oh, and yes, you can book an Uber to get there, of course. My point is that there are lots of great opportunities in this space, and it's just a matter of focusing on the bigger picture. OpenTable has done a great job of staying focused on the critical mass: you won't beat them by trying to build a better version of what they have. You need to focus on the marketing, the value proposition to the restaurant and the customer, and the real critical way to build the mass you need. It's not for the faint of heart, and the folks there are smart. Competition breeds innovation, so keep going, folks. We all win.